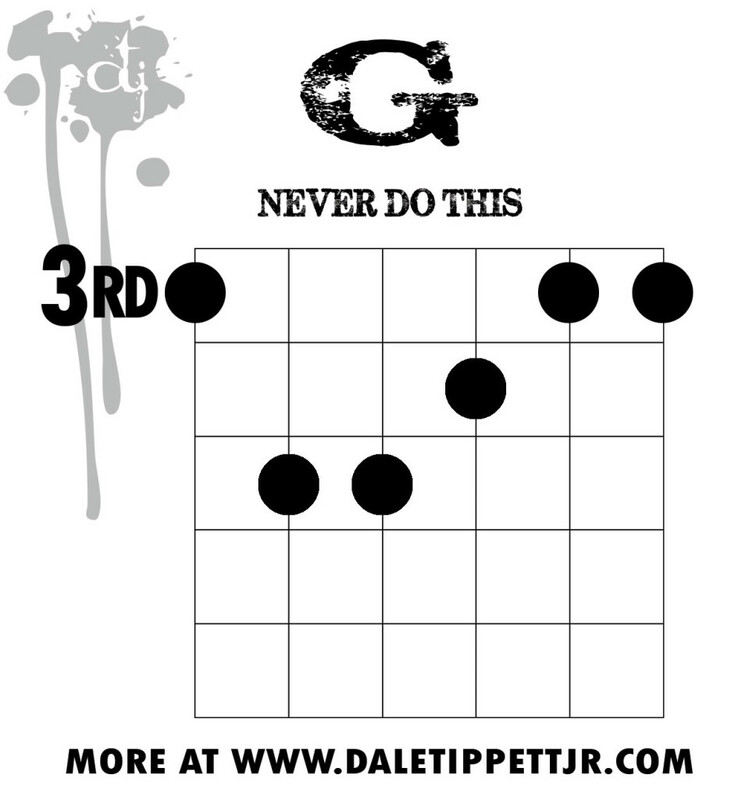 Ok, so while the barre chord as-such is the last thing you should grab, you should know what one is and what it’s parts are. That way, when you start seeing unfamiliar chord symbols in a chart, you should be able to be able to pick out the most effective voicings for yourself. You can substitute a tenth chord voicing when you got NO clue what else is going on in the chord. If you need a quick augmented chord, play a major tenth and let the rest of the band deal with it – for a diminished copout, use a minor tenth. Just grab the shape and put your first finger on whatever the root’s name is. Booya. Of course even when cheating, you need to at least know where the root of the chord is. So you do need to learn what the names of your frets are. Learn it from Desi Serna. I’m not dealing with it. Click this sentence for links. If you gotta fake minor or diminished, grab that. These keep your sound from getting too thin by comparison of the chord shapes you’re already comfortable with. It still thins your sound a little, but it’s better than grabbing two close high notes or a power chord. It’s like Game Genie for guitar! 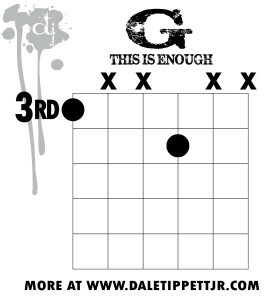 Have fun cheating at guitar, you guys! So the last G in the picture. Would you pluck that or strum muting the unused strings.